Do you want to deepen your practice? Do you want to share the gift of yoga with others? Are you a yoga teacher looking to take your teaching to the next level? Yoga Levontin’s teachers training course seeks to bridge the gap between traditional and contemporary knowledge, teaching yoga today as it was once -a holistic body-mind practice. Our broad and holistic approach incorporates a solid foundation and philosophy Yogic tradition, while encouraging integration with modern Western life. Whether you’re looking to become a teacher, improve your teaching skills or simply deepen their personal practice our yoga teacher training course will allow this and will give you the knowledge, confidence and skills to teach in an authentic way and enriching your personal practice. During the Teacher training you will get a solid training combined with thorough understanding of asana techniques, anatomy, adjustments that, the energy system of yoga, (chanting), philosophy, Ayurveda and principles of teaching. The course was carefully designed for practitioners with experience who want to deepen their practice, as well as for those who want to become teachers themselves. Following completion of the course. all the assignments and final exam you will receive a Yoga Levontin certificate as and be eligible to be registered with yoga alliance. The course is intended for experienced practitioners who are interested in deepening their yogi knowledge and add layers to their personal practice as well as for practitioners who want to learn how to teach yoga and how to deliver this powerful knowledge to others. Doron is a Certified 550 hour Yoga Teacher (ERYT) as well as the director of the Doron Yoga School (RYS 200 and 500). He was introduced to Yoga and Meditation in 1992 while traveling and studying in the Far East for 2 years. During that time, Doron has studied at the Osho Ashram, with the Dalai Lama in Dharamsala, in Thailand doing Vipassana retreats, and in Japan living and working with a Buddhist priest. Holds an MA in Dance, director and owner of Yoga Levontin. Netta had the honor to learn and practiced with Paul Dlhgn, Maty Ezraty, Richard Freiman, Sharath Jois, Eyal Chechanovski. 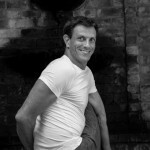 Ashtanga Yoga practitioner since 2002 and teaches since 2007. Netta believes in intelligent and personalized teaching which fosters and encourages the student to observe, listen and accommodate the needs of the practice. Netta is one of the most experienced Ashtanga teachers in Israel especially Mysore style practice and specializes in assisting students to find their own practice.